“We wanted to let you know that there will be no toys based on Rogue One: A Star Wars Story shown at Toy Fair this year. While there will be a small selection of new Star Wars toys revealed at Toy Fair and in the days leading up to it, none of them will be directly based on the new characters from the upcoming film. We're seeing history repeat itself with this announcement. Last year, Hasbro informed fans that toys from The Force Awakens would not be featured at Toy Fair 2015. This statement seems to indicate that Lucasfilm and Disney are following a similar marketing strategy for Rogue One that they did for The Force Awakens, where the majority of the toys, with the exception of the Black Series Stormtrooper (which was a San Diego Comic Con exclusive) and the Black Series 6" scale First Order TIE Fighter (which was revealed at SDCC), were not revealed until the week before Force Friday in September. I have to say, I'm disappointed by this news. While the release of The Force Awakens toys certainly was unique (the 24 hour live stream, unboxing event was especially fun), there were several issues with leaks and distribution (it was, and in some places still is, very difficult to find The Force Awakens toys after the initial rush of Force Friday, not to mention the amount of product available on Force Friday was disappointing). I had hoped that the presence of a display of Rogue One costumes at Nuremberg Toy Fair meant that things would be different this time around and that the promotion for Rogue One (for which there has been less than there had been for The Force Awakens at this point last year) would be getting going. 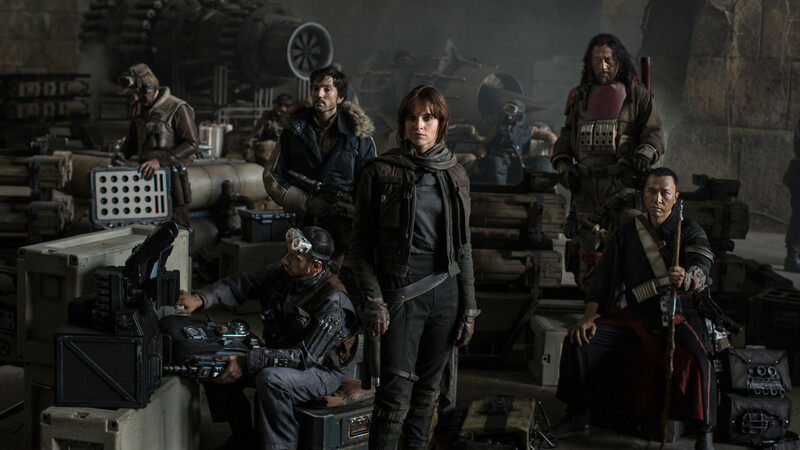 I love the premise of Rogue One and am anxious to get a look at the film and learn more about these new characters. Not to mention the fact that there is far less general awareness about Rogue One than there was about The Force Awakens and Toy Fair (maybe paired with a Super Bowl ad) seemed like a perfect time to kick off the promotion. However, right now we'll have to settle for vague reports from behind closed door displays at Nuremberg Toy Fair. Hopefully, this means there is something else cool in store from Hasbro and the other licensees. The advantage this Toy Fair has over last year's is that we are hot of the heels of the release of The Force Awakens and there are still many characters (Leia, Maz, Snoke, etc.) that have yet to be released as figures. We could still have a weekend of cool announcements in store.